Denny Hamlin dominated the most recent NASCAR Sprint Cup Series race — at New Hampshire Motor Speedway on July 15 — in the #11 FedEx Freight Toyota, leading five times for a race-high 150 laps at the ‘Magic Mile.’ However, a pit road miscommunication during the event’s final caution dropped Hamlin from the lead to 13th for the ensuing restart, where the 31-year-old driver marched through the field only to come up one position short, finishing second to Kasey Kahne. Hamlin had the strongest car throughout the event, and looked poised to win his third race of the 2012 season. The final caution came on Lap 235, and crew chief Darian Grubb planned a two-tire stop. Hamlin and Grubb discussed the strategy, and after Hamlin radioed that he wanted grip, Grubb audibled to a four-tire change. Unfortunately, the majority of lead lap cars opted for two tires, moving Hamlin deep in the running order for the restart. Putting on an impressive display of driving for the final 62 laps, Hamlin picked off positions on a charge to the front. He ran out of laps in the end and crossed the finish in the runner-up position. Hamlin started third and was comfortable in that position for the opening run. After taking the lead on Lap 72, the #11 machine was out front for 149 of the next 163 circuits. The finish moved Hamlin up to spots to fifth in the NASCAR standings following New Hampshire, now 79 points behind leader Matt Kenseth after 19 of 26 regular season races. FFollowing the season’s final off-weekend, NASCAR heads to Indianapolis Motor Speedway for a 400-mile event on the famed 2.5-mile oval. Hamlin has a pair of top-10 finishes in six starts at the ‘Brickyard,’ taking the checkered flag 10th in his 2006 rookie season and posting a career-best third-place result in 2008, when he led 26 laps. One year ago, Hamlin spent the majority of the last half of the 160-lap race in the top-10, but fell victim to fuel strategy, dropping to 30th after his final pit stop only to see the majority of competitors stretch gas to the finish line without another stop, relegating the #11 team to a 27th-place finish. Hamlin will also compete in the Nationwide Series event on Saturday at Indianapolis for the series’ inaugural race at Indy. The FedEx Express location in Indianapolis, which includes the Indianapolis hub — the second-largest hub sorting facility in the worldwide Express system — as well as the Indianapolis ramp and Indianapolis terminal, will be recognized with its “IND” code letters on the b-post of the #11 FedEx Express Toyota this weekend. 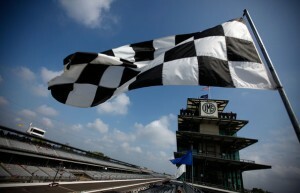 What will it take for you to get your first win at Indianapolis?